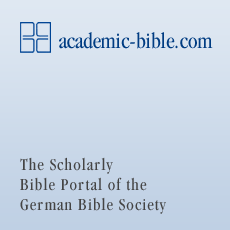 The Biblia Hebraica Quinta is a manual edition (editio minor), in the Biblia Hebraica tradition, produced for serious students of the Hebrew Bible. It aims to provide them with a clear presentation of the surviving evidence of the text’s transmission that is relevant for translation and exegesis. The Editio Critica Maior documents the history of the Greek text through the first millennium on the basis of Greek manuscripts, old translations, and New Testament citations in ancient Christian literature. Furthermore, it is the leading edition for the reconstruction of the original Greek text of the New Testament.